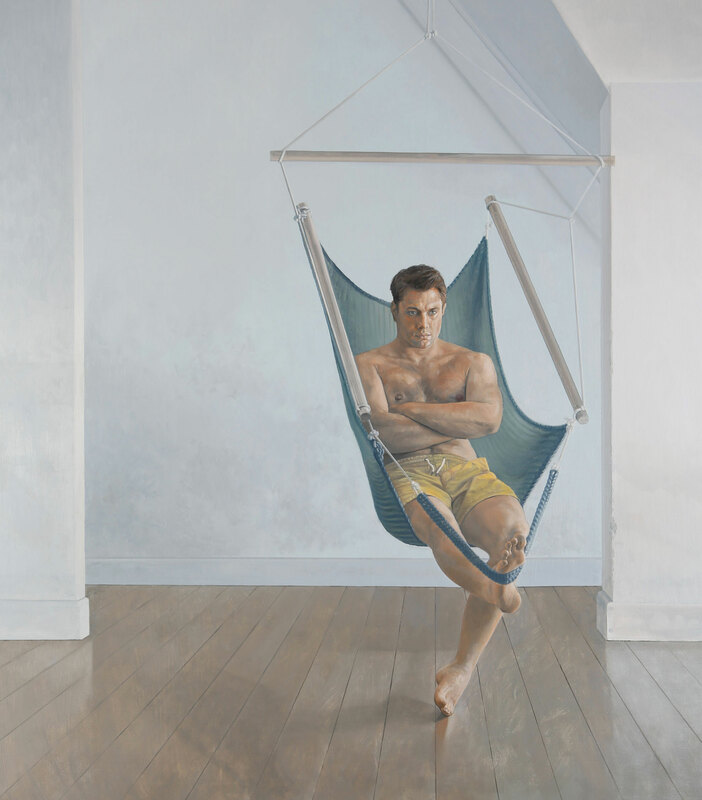 The motivation for this piece, apart from being a portrait of my son, James, was the tension and contrast between his relaxed position in the suspended chair, as well as the tension created by the support system. I like the fact that James has got one leg down, anchoring himself. There is also tension in his face. Whilst his body might be in some sort of relaxed position, his expression is thoughtful and intense and I liked that contrast. I called it Elevation, because he’s suspended in some sort of elevated position. He is also in an elevated frame of mind, thoughtful and planning. He’s working something out. Description: Portrait of James Gray.